In February, there are two national holidays. The official holiday is Valentine’s Day. The unofficial holiday is Super Bowl Sunday. The National Football League’s season-ending showcase this year featured the Philadelphia Eagles and the New England Patriots. Philadelphia football fans have developed a notoriety for bad behavior. For instance, in order to keep the riots from getting out of control after their NFC Championship victory, the police infamously put Crisco all over the telephone poles so that fans could not climb them. When over-exuberant sports fans want to break the law, it is not hard to find one to break. Just ask 22-year old Taylor Hendricks. Taylor was intoxicated. He was also very excited after a playoff victory for his Eagles. He had already gotten in trouble during the game after he tried to sneak in without a ticket. Now that the game was over, and fans were pouring out of the stadium, Taylor did not know what to do with his combination of excitement and anger. He decided to punch a horse – a police horse named Nicky, to be exact. According to police reports, Taylor also managed to punch the legs of the officer who was riding atop Nicky. This is a serious charge. In Virginia, it results in a Class 5 felony. The financial costs for this charge can also be high. 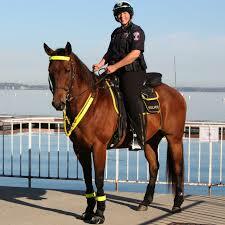 If a police horse – or other such animal covered by this law – is injured or killed as a result of the attack, the costs are passed on to the guilty person. Reports are that this is becoming something of an epidemic. After the second playoff victory a week later for the Eagles, another young man was charged with the same crime. It appears that he could be headed for a felony as well, if found guilty. Charges that include any form of animal cruelty also require the need for an attorney. If you find yourself in a situation where you need assistance for charges of this kind, call or e-mail today for a free consultation! Should Virginia’s Noose Law Be Changed?